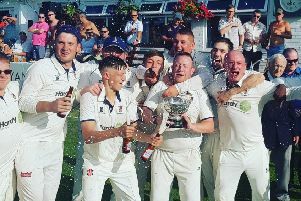 Ben Heap was a teenager still earning his stripes when Lowerhouse won the Worsley Cup for the first time in their history 14 years ago. The now 30-year-old took 2-17 from six overs that day at Liverpool Road as his uncle, Chris Bleazard, became the hero against Haslingden with an unbeaten knock of 101. 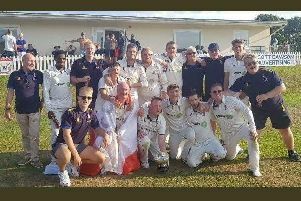 It was a pivotal moment for the West Enders as they finally shed their “Cinderella” tag, claiming their first piece of silverware after 112 years of involvement in the Lancashire League. Thousands of spectators were in attendance for the 2004 grand slam, after all it was only the second time that ‘House had qualified for the competition’s pièce de résistance , with the other appearance in 1980 where they were beaten by East Lancs. The grandeur of the occasion had everybody in the vicinity taken in, the euphoria swept through that typically calm pocket of Burnley like a thick fog, but for Heap it was all a blur. The skipper conceded that he wasn’t able to fully appreciate the magnitude of the achievement at the time, but there was no threat of that happening this time around as they beat their rivals in the first finale of its kind. “It was very overwhelming,” he said. “For me it’s the best one that I’ve been involved in. I’ve played in a few now and played major roles in them. “It wasn’t my day this time but it’s never about one player. To be involved in an occasion like that against our local rivals - it tops them all for me. “I was only young in 2004 so I didn’t really appreciate how big it was at the time. I understand it a little bit more now in hindsight but I didn’t take it all in at the time. Haslingden are once again the visitors to the Brooks Foundation Ground at the weekend as the season slowly draws to a close. Lowerhouse are still in contention in the title race but Heap acknowledges that it’s out of their hands with leaders Walsden in such formidable form. The leaders have an unblemished record from 16 games, ignoring the abandonment against Littleborough, and hold a 16 point advantage over ‘House, with Ramsbottom providing the buffer in-between. Should they capsize Walsden’s maiden voyage, and take the treasure for themselves, Heap would match Charlie Cottam’s exploits from 2012 when guiding the club to the league and cup double. “We’ve just got to keep plodding away,” said Heap. “We can’t afford any more slip-ups from now until the end of the season. “We’ll probably need Walsden to lose a couple of games as well. It’s out of our hands so we’ll just look after ourselves.